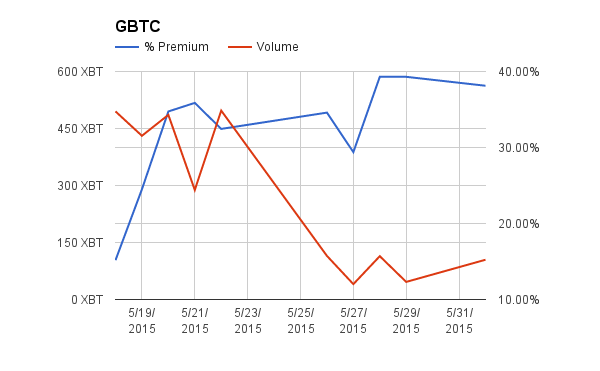 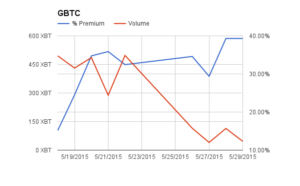 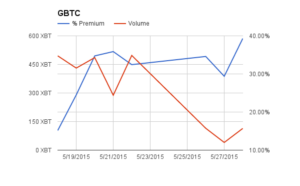 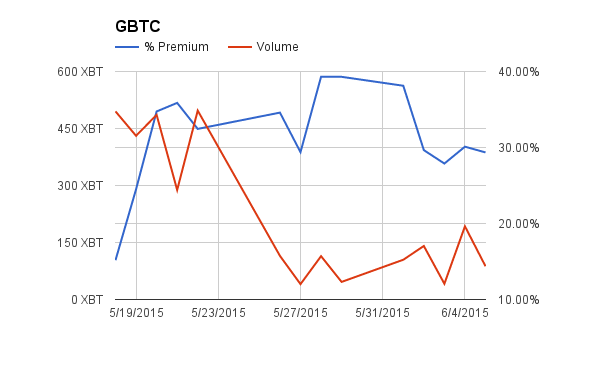 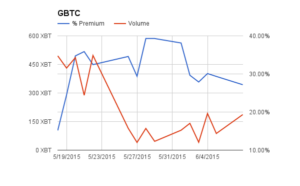 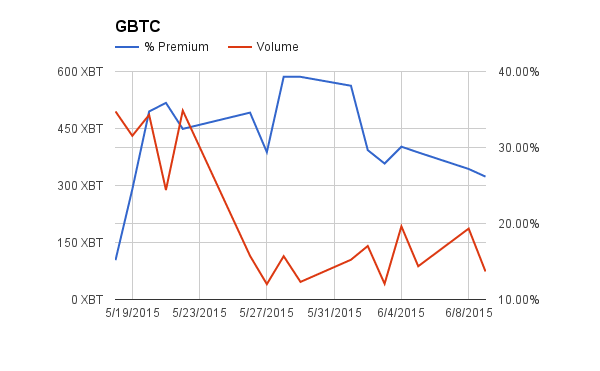 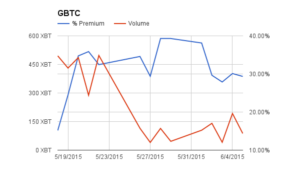 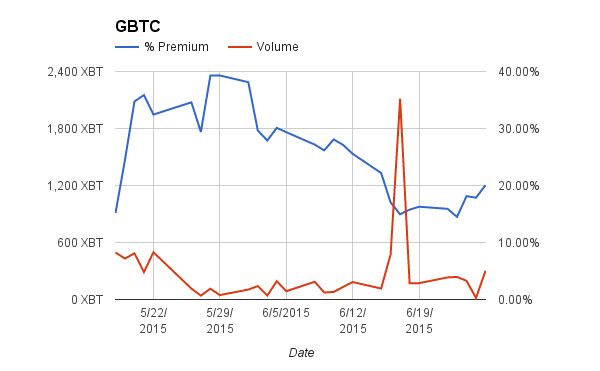 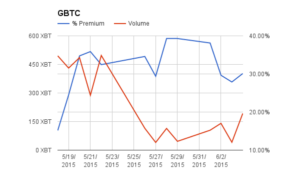 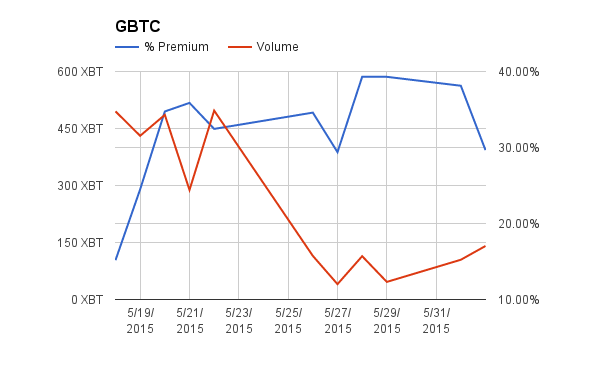 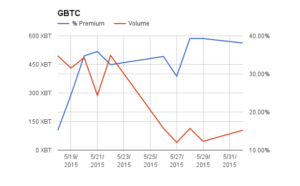 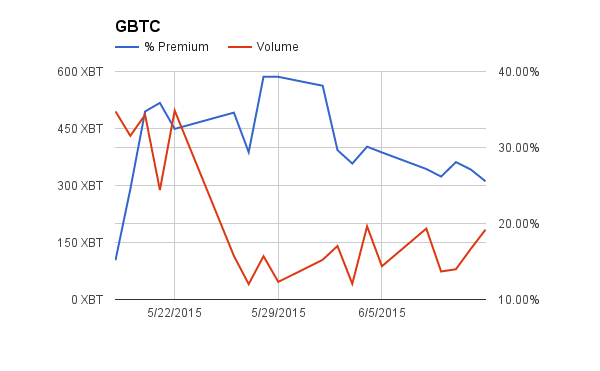 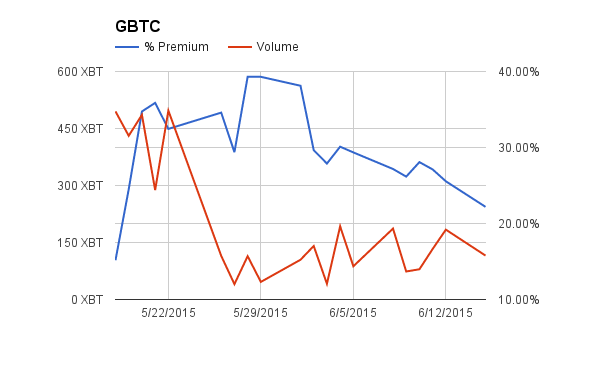 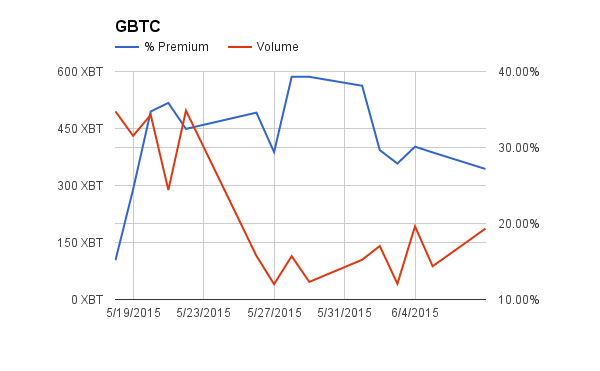 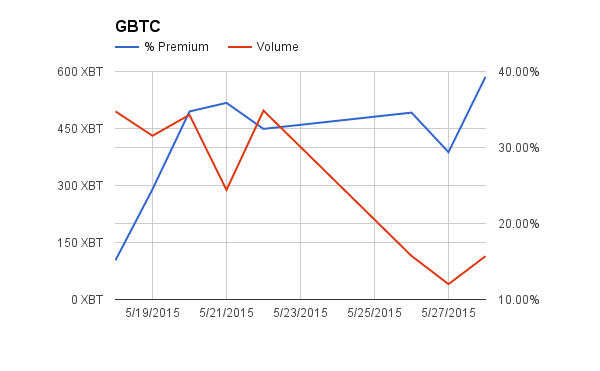 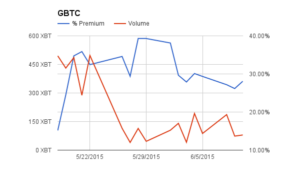 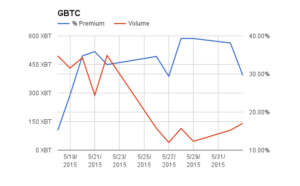 GBTC volume inched up slightly to 141 XBT. 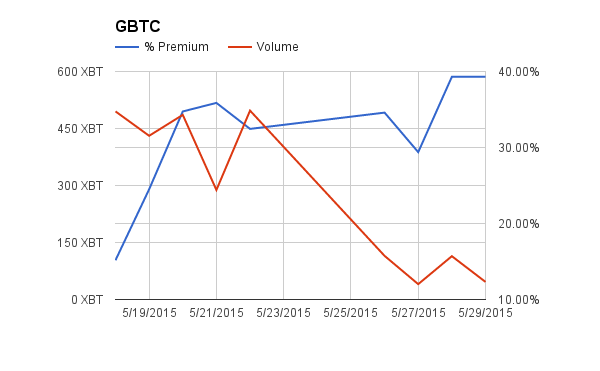 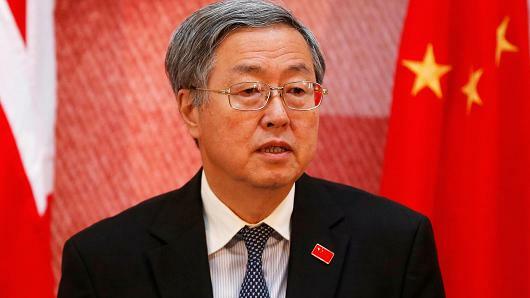 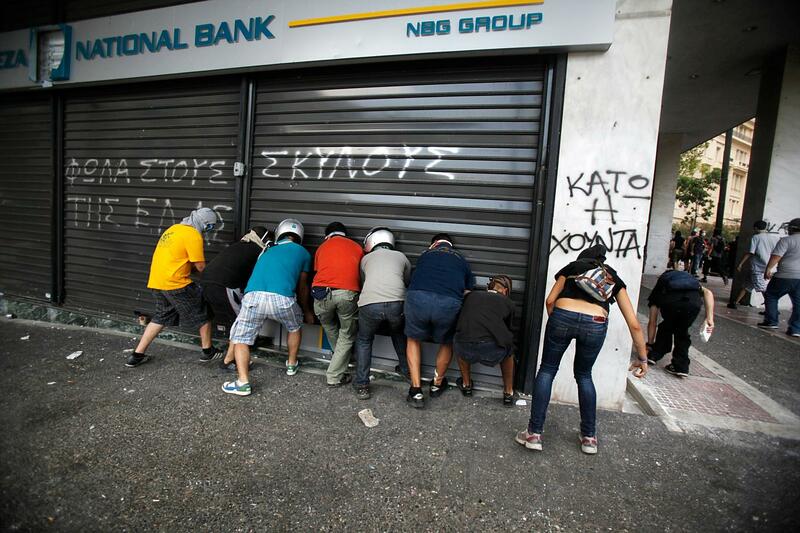 The premium declined 5% points to 30%. 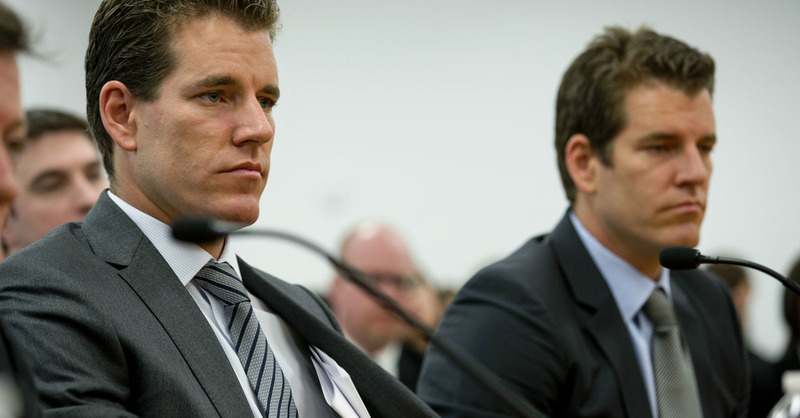 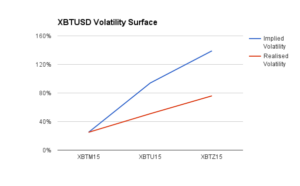 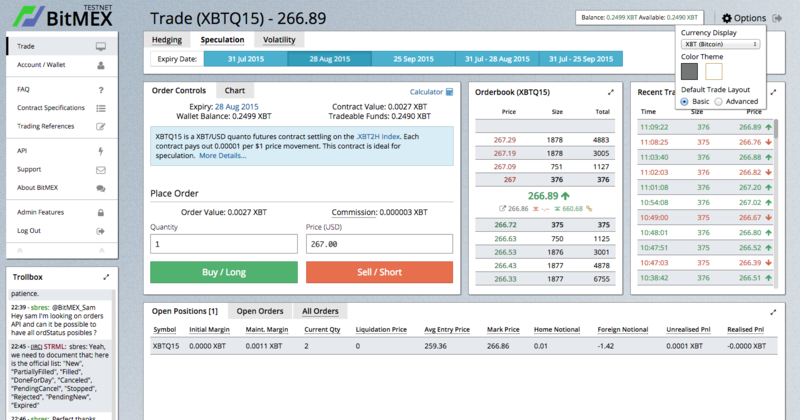 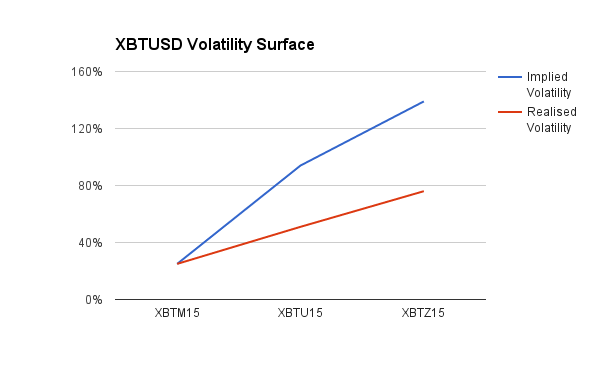 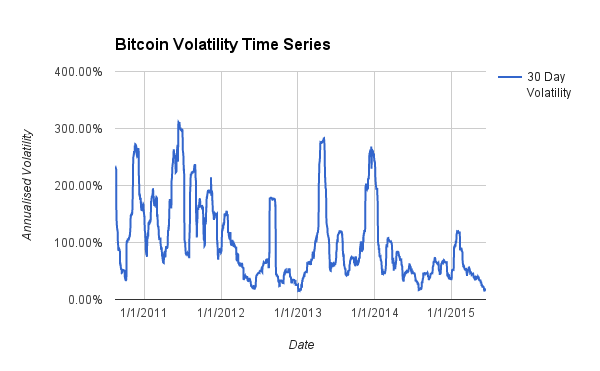 XBT’s volume took a dive to 225 XBT. 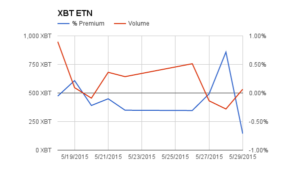 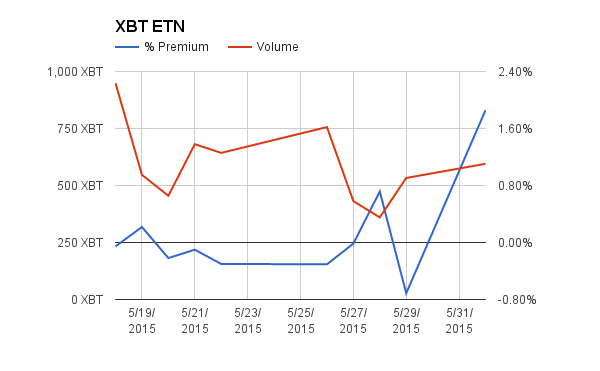 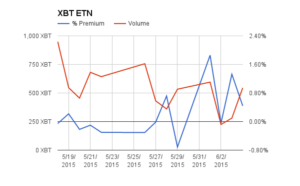 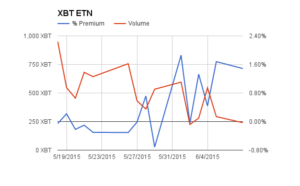 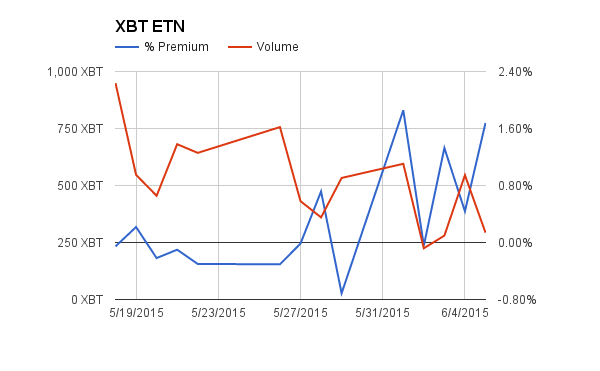 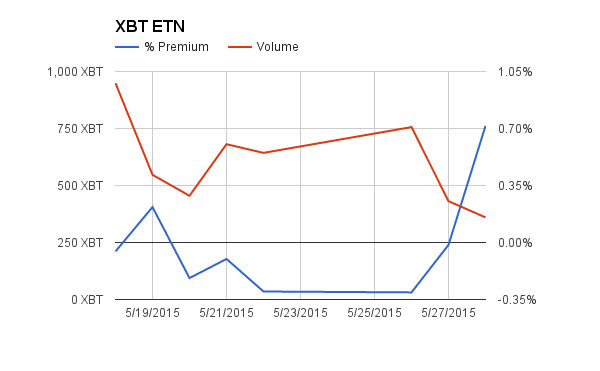 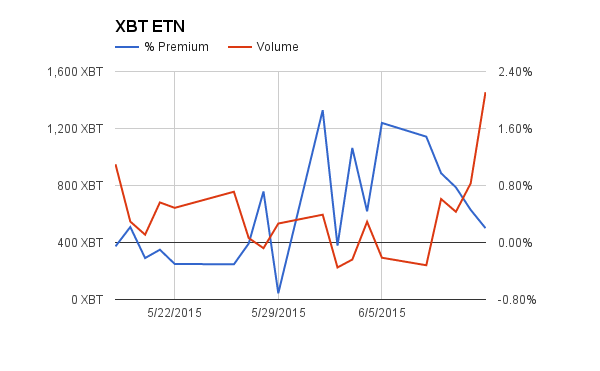 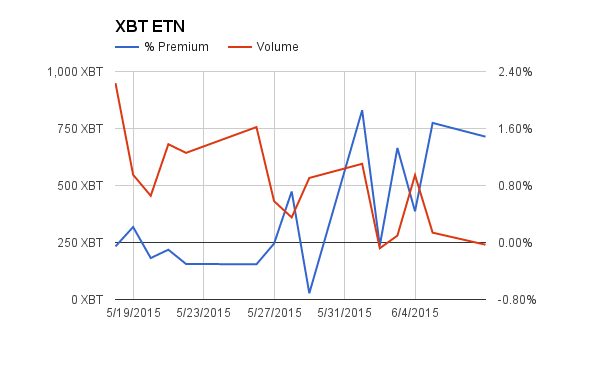 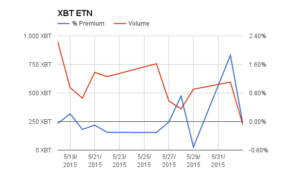 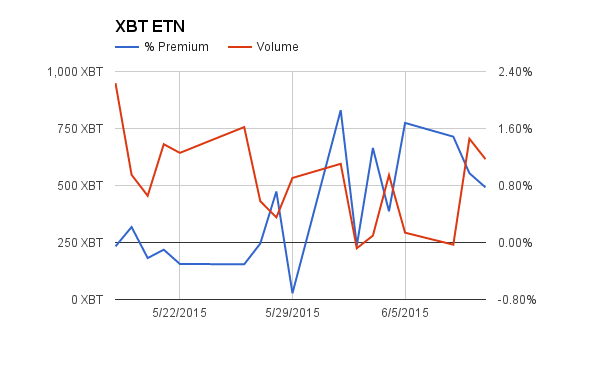 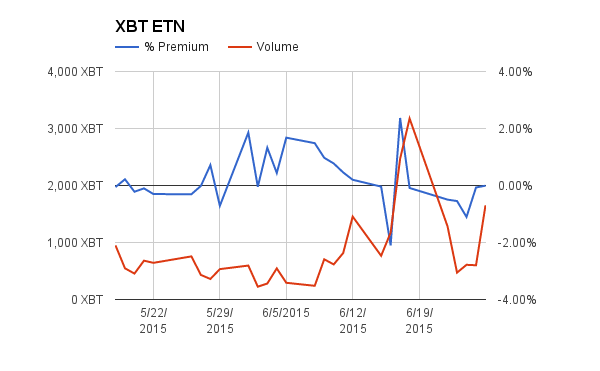 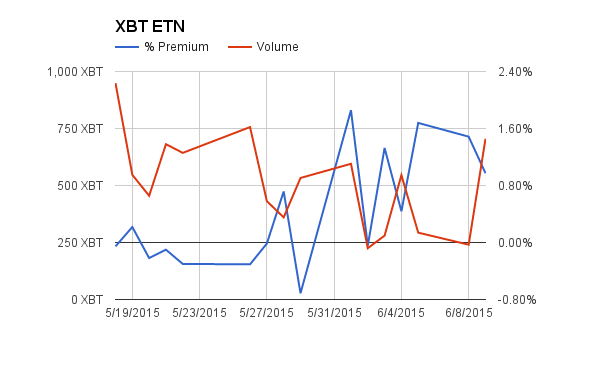 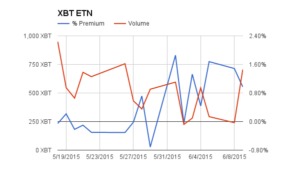 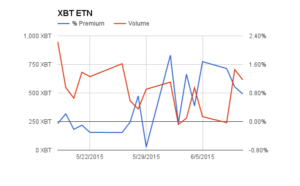 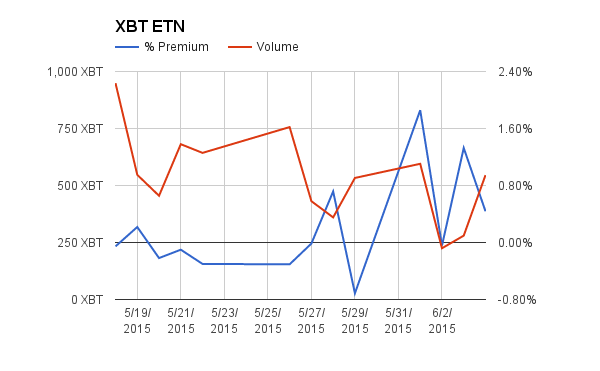 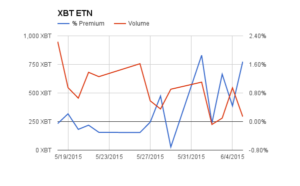 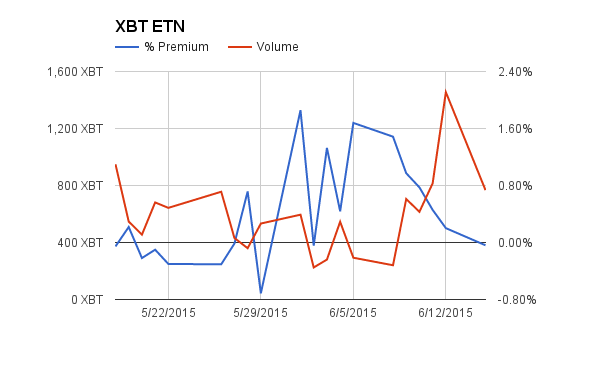 The premium declined and the ETN closed at fair value.